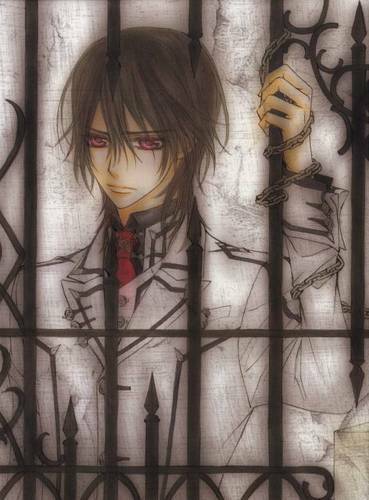 뱀파이어 기사. . HD Wallpaper and background images in the 뱀파이어 기사 club tagged: vampire knight kaname yuuki zero. This 뱀파이어 기사 photo contains 스테인드 글라스 창, 보유 셀, 홀딩 셀, 셀을 잡고, 체인 링크 울타리, and chainlink 울타리. There might also be 형사 기관, 형사 시설, 형벌 기관, 감옥, 교도소, 수감, 비좁은, 유치장, jail, jailhouse, gaol, clink, slammer, poky, pokey, 초라한, and 포키.